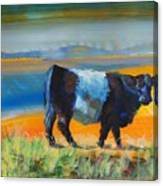 'This Way To The Beach?' 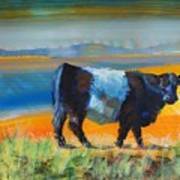 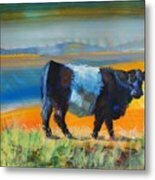 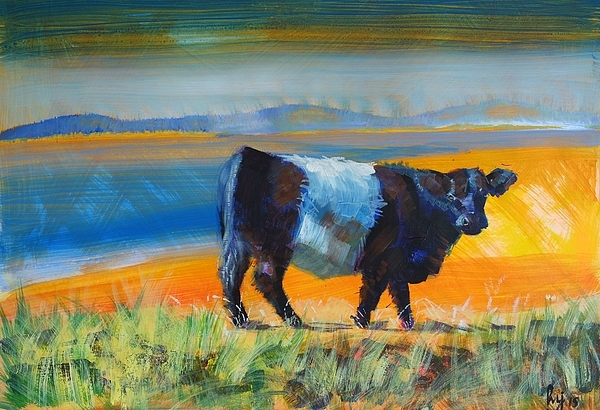 - inspired by a belted galloway cow encountered on the wilds of Dartmoor and a windswept, with moody sky, day walking along the beach at Exmouth this painting juxtaposes the distinctive breed of cattle that is the belted galloway cow with an unusal setting. Is the animal pausing in uncertainty before setting foot onto alien terrain or inviting you to follow down to the water's edge for a paddle?